The original Himalayan Blunder was with regard to the Gilgit Agency and the Wazarat, which many don’t even remember. Gilgit-Baltistan, as we know it today comprised Gilgit Agency and Gilgit Wazarat back in 1947. A lot has been written about the Himalayan Blunder committed by India in 1962. Even more has been written about the blunders committed in the prosecution of the Kashmir War of 1947, notably thereference to the United Nations by Jawaharlal Nehru at a time India was gaining momentum in the war. Poonch had been secured. Enemy forces had been chased away from the outskirts of Leh and Kargil had been won back. The Poonch-Uri road had been secured. India only needed a last push to capture Skardu back and take Muzaffarabad and Mirpur. History would also tell you that Jammu and Kashmir was also the only princely state which was not under the charge of Sardar Vallabhbhai Patel. Kashmir was a separate Ministry under the Government of India and was directly under the charge of Prime Minister Nehru. I would not labour the oft repeated events that pre-dated the accession of Kashmir to India. I begin at the point of accession. There is a fine account by Late Field Marshal Manek Shaw who was then the Director of Military Operations in the Army HQ in the rank of a Colonel. General Sir Roy Bucher, the C-in-C of the Indian Army sent him to accompany VP Menon who was flying to Srinagar to get the Instrument of Accession signed. “At the morning meeting he handed over the (Accession) thing. Mountbatten turned around and said, ‘come on Manekji (He called me Manekji instead of Manekshaw), what is the military situation?’ I gave him the military situation, and told him that unless we flew in troops immediately, we would have lost Srinagar, because going by road would take days, and once the tribesmen got to the airport and Srinagar, we couldn’t fly troops in. Everything was ready at the airport. Afghanistan, a landlocked country, is located in a strategic location, connecting Central Asia to South Asia and East Asia to West Asia. For centuries, it functioned as the economic corridor for the Silk Roadand other ancient trade routes in the region. The political rifts and instability in Afghanistan are often attributed to its strategic location, since major powers have always tried to control Afghanistan in the interest of spreading their political, economic, and ideological hegemony in the region. Despite being a member of the Non-Aligned Movement during the Cold War, the confrontations between the two main power blocs had dragged Afghanistan into hostilities, turning it into a battlefield. After the collapse of the Soviet Union, Afghanistan was left alone, drifting into civil war among different guerrilla Mujahideen groups, supported by the neighboring states. Eventually Pakistan managed to nurture and sponsor the Taliban that then controlled most of the country until they were overthrown by the U.S.-led intervention in Afghanistan in 2001. Since their independence, India and Pakistan have been engaged in a protracted mutual hostility, with each country seeking to enhance its security and self-protection. To this end, they have acquired nuclear weapons, purchased sophisticated military technologies, and partnered with powerful states. Moves by one of them would cause the other to feel suspicious and insecure. However, the main reason behind the escalation of a spiral of distrust and hostility is due to the misinterpretation of motives and intentions by the decision-makers in both countries. As a result, both New Delhi and Islamabad seem to be trapped in what international relations scholars would describe as a security dilemma. This has borne costs, such as direct military conflicts between the two countries or, more recently, smaller skirmishes. India and Pakistan celebrated their 70th Independence days recently, even as a war of words escalated between the two countries. As usual, Kashmir is the focal point. But this time, India has changed the terms of discourse rather dramatically. Prime Minister Narendra Modi has made it clear that while his government was willing to talk to anyone with an "open mind" and was keen to normalize the situation, there won't be any major concessions in dealing with the protests in Kashmir. Strongly rejecting Pakistan's bid to present itself as an involved party, Modi has made the point that Islamabad's own human-rights record did not give it such leeway. He has also suggested that there was a need to track those who had fled Pakistan-occupied Kashmir so that their accounts could be publicized. PoK, he has said, is the fourth part of Jammu and Kashmir, along with Ladakh, Jammu and the Valley. The Modi government is also keen to bring to the attention of the world the plight of Balochistan. New Delhi is now clear that if Pakistan continues to meddle in Kashmir and incite violence and terror, India would be forced to expose the atrocities it continues to commit in restive Balochistan. India's approach was welcomed by activists in Balochistan who blame Islamabad for their plight. In his address earlier this month to the home ministers' conference of Saarc countries in Islamabad, Rajnath Singh raised the issue of Pakistan's support for terrorism on foreign soil. "One country's terrorist cannot be a martyr or freedom fighter for anyone", said Singh. "I also speak for the entire humanity - not just for India or other SAARC members - in urging that in no circumstances should terrorists be eulogised as martyrs," he added. The PM's remarks suggest India will adopt a muscular policy when its sovereignty and territorial integrity are at stake. Prime Minister Narendra Modi's remarks on Balochistan as well as Pakistan-occupied Kashmir (PoK), Gilgit and Baltistan from the ramparts of the Red Fort on August 15, potentially herald a marked departure from India's stance thus far. They unmistakably signal to Pakistan that India could, henceforth, adopt a proactive policy to reclaim Gilgit, Baltistan and the portion of Kashmir occupied by Pakistan, while highlighting human rights and other violations by Pakistan in Balochistan. The remarks suggest India will adopt a muscular policy in dealing with Pakistan and other countries when its sovereignty and territorial integrity are at stake. The newly enunciated policy is in keeping with the other strategic moves initiated by the prime minister from the day of his swearing-in. His remarks also dovetail with the policy implicit in the Geospatial Information Regulation Bill, 2016. In the coming days, the prime minister's bold initiative will ensure focus, including in international fora, on Pakistan's human rights violations in Balochistan. The spotlight on Balochistan will indirectly encourage the demands of the Balochi people, who occupy half of Pakistan's territory with the highest concentration of its natural mineral wealth. It will also cause unease in Beijing which has invested immensely in the Gwadar port, located in the Balochistan province. One must understand at the outset that retaining Kashmir is vital to India’s security and integrity. A book, India: A Study in Profile, by Lt-Col Javed Hassan of the Pakistani army, who retired as a Lieutenant-General, makes it clear that the basic goal of Pakistan’s strategic doctrine is balkanising India. Representing a study conducted for the Pakistani Army’s Faculty of Research and Doctrinal Studies, Command and Staff College, Quetta, it was distributed by the Services Book Club, Rawalpindi. Neither of these could have happened without official sanction from the highest level, which, in turn indicated that it articulated — or was at least in synch with — official doctrine. New Delhi: The 58-year-old former president of Afghanistan is back in Delhi for the fourth time since he left office two years ago. Karzai may be ‘retired’, but his schedule in Delhi – which includes meetings with senior government officials, media interviews and public events – is no less punishing than before. Arriving in the Indian capital just a few days after Indian independence day, the most frequent question Karzai has been fielding is about Narendra Modi’s mention of Balochistan from the ramparts of the Red Fort. This was the first time ever that an Indian prime minister had publicly spoken about the restive Pakistani province. Well, Karzai approves. “We in this region have suffered immensely from violence, from the promotion of extremism and especially from the violation of rights, specifically the right to development. Therefore, the prime minister’s remarks to allow the people of Balochistan to enjoy a violence free life and to aspire for their own development and progress is something we appreciate and welcome,” he said on Friday. For Afghans, Balochistan – the seat of the Quetta shura – is seen as the launching pad for the Afghan Taliban. Along with India, Afghanistan is also blamed by Pakistan for fuelling insurgency in the province. Afghanistan has a “huge stake” in Balochistan, said Karzai, adding “it is from there that we see extremism arrive here (in Afghanistan)”. At 84, Noam Chomsky remains the sharpest, most acute, most unrelenting critic of power, particularly American power. He speaks to Priyanka Borpujariabout the evolution of protest; the disconnect between the misery he sees on the streets of Delhi and our elites’ chest-thumping pride; the narrow concerns of mainstream media; and his starring role in a Gangnam Style parody. You have been protesting wars, from Vietnam to Iraq. And then, there has been the Occupy Wall Street movement. What have been the similarities and differences in protest movements over the years? People do not know this, but it was very tough to oppose the Vietnam war. In the early ’60s, if I was giving a talk, it would be in somebody’s living room or a church with very few people. Right here in Boston, a liberal city, we could not have an outdoor demonstration in the Boston Common until about 1967. Any demonstration would be broken up by force. In March 1966, when we tried to have an indoor demonstration at a church downtown — since we could not have a public one — the church was attacked. The Boston Globe, which was supposed to be a liberal newspaper, denounced the demonstrators. The Harvard University faculty would not even hear about it; nobody would sign a petition. It was a few years of hard slogging. Finally by 1967-68, there were two or three years of intense activism, before it declined. The ’60s were very significant but it was very condensed. Massachusetts Institute of Technology (MIT) was a very conservative campus until about 1968 and then it became very radical, perhaps the most radical in the country. With so many reports circulating, we take a step back to get the whole picture and see what's really going on. Civil war in Syria has been raging for five years. In our 2016 annual forecast, the Islamic State was the center of gravity for the conflict in Syria, and our projections for the year revolved around them. So far those projections are on track. However, there has been a flurry of activity in the last two months that has necessitated re-examining the Syrian battlespace. Before we can map out the conflict, we must lay out the players. The proliferation of participants is one of the reasons this war is so opaque. There are scores of militias operating in Syria. Included in these are the small and relatively ineffectual U.S.-trained and supplied fighters. The Syrian Kurds – under the leadership of the Democratic Party of Syria (PYD) and its armed wing, the People’s Protection Units (YPG) – are the most unified. But they have committed to joining the Syrian Democratic Forces (SDF), a U.S.-backed hodgepodge of groups containing Kurds, Christian Arabs and a small number of Sunni Arabs. The SDF has anywhere between 30,000 and 50,000 fighters. This coalition operates mostly in western Syria, dominating Hasakah province and putting pressure on the Islamic State (IS) from the north. It recently forced IS to withdraw from Manbij. An article appeared on EurActiv.com yesterday, claiming that the United States was moving nuclear weapons it had stored in Turkey to Romania. The report cited two anonymous sources. The story obviously had significance. It indicated that the breakdown in U.S.-Turkish relations had reached a new level. It indicated that the Romanian and U.S. governments were colluding to take highly significant actions without informing the Romanian public. It also indicated that there had been a massive breakdown in U.S. security, because the location of nuclear weapons should be the most secure secret. If true, it was a major story. Clearly, by journalistic standards, it was well beyond the threshold required for publication. There were two sources, who I will assume were seemingly good sources. They obviously required anonymity, because to tell this they had to be breaking someone’s rules on secrecy. And the story was obviously important to the European public who the journalists serve. The problem with the story, to begin with, is that it assumes both sources had access to the deepest secrets of the United States and were prepared to provide EurActiv with this secret. The location of U.S. nuclear weapons is extremely classified for a simple reason. If any enemies knew the location of the nuclear weapons, they could destroy them with conventional weapons. If the U.S. is moving these weapons, secrecy is necessary to protect against terrorists stealing them. The United States therefore holds location and movement information very tightly. Sometimes, I would suspect, they give false information on location so that any accurate leak would be mixed in with false ones. I don’t know this, but that’s what I would do if I were the U.S. government. When the new millennium dawned, the poster-boy of economic liberalization in my home state, Karnataka, was N.R. Narayana Murthy. A man from a middle-class home, with no tradition of entrepreneurship in his family, Narayana Murthy got together with six other like-minded individuals to found a company named Infosys. Starting from modest beginnings in Pune, by the year, 2000, the company was headquartered in an impressive campus in Bangalore, with offices around India and in many other countries as well. It employed thousands of qualified engineers, had been listed on NASDAQ, the US share market, and generated revenues of billions of dollars. Infosys was admired not merely because of its size or profitability. It was a knowledge-based enterprise, using skilled engineers to take advantage of opportunities in the global economy. Its promoters lived low-key lives, and were quite unlike the brash industrialists of northern or western India. Finally, they were not close-fisted, giving back to society through large donations to education, healthcare, and the like. If, in or about the year, 2000, there was any competition for Narayana Murthy in the "best known entrepreneur in Karnataka" stakes, it came from Azim Premji. Premji, too, ran a large, professionally-run and globally-admired software company, headquartered in Bangalore; he lived, if anything, a life more low-key still, and he contributed even more substantially to social causes. All politicians who acquire power develop a liking for some bureaucrats at the cost of others. These likes and dislikes go on to have a profound on policy, and indeed the country. Given below is an excerpt along the same lines from Ravi Velloor’s book India Rising. In it, he describes how former Prime Minister Manmohan Singh made National Security Advisor (NSA) M K Narayanan head to Bengal as governor, so that Shivshankar Menon, who the PM had a liking for, could be made the NSA. As he settled into his second term in 2009, Pakistan was still much on Manmohan Singh’s mind, notwithstanding the shock of the previous year when Mumbai had been attacked and brought to a near standstill for three days. In his first term, he had come close to clinching a deal with Pervez Musharraf, Pakistan’s military ruler, for a series of mutual steps on the thorny topic of Kashmir that held the promise of leading to a wider settlement of their many issues. However, Pakistan’s internal dynamics rapidly changed and so did things in India. Now, with a renewed and stronger mandate, Manmohan wanted to give peace with Pakistan one more shot. “When can I go to Pakistan?” was a frequent question that he put to the Afghanistan-Pakistan-Iran division of the Ministry of External Affairs. Born in Gah, a village in the outback area of Punjab, he had been, like millions of others, displaced by the partition of India, which came with independence from the British Rule in 1947. When the subcontinent was cleaved to create Pakistan, the line drawn by Cyril Radcliffe, a British lawyer flown down for the purpose of drawing up the boundaries of the new state, ran through the heart of Punjab. Hindus and Sikhs, like Manmohan, travelled south to India and met hundreds of thousands going the other way to the new, or soon to be, Pakistan, created as a homeland for the Muslims of India. Colombo needs to shape up before it gets rewarded by Washington. The United States is poised to deepen ties with Sri Lanka’s military. Such an initiative would likely include increased military cooperation between the two countries, training programs and possibly an uptick in military assistance heading to the war-torn island nation. While seemingly good intentions may be underpinning this policy shift, the Obama administration would be making a big mistake by moving in this direction. Accordingly, Washington should urgently reconsider its current approach. The USS New Orleans, a U.S. Navy ship, just visited Sri Lanka. That’s the second ship to the country in the past few months. “The United States looks forward to working with the Sri Lanka Navy as a key force for maritime security and stability,” U.S. ambassador to Sri Lanka and the Maldives Atul Keshap said in a recent press release. Mr. Keshap had more to say on July 27 in Colombo, the capital. Even though the precise steps for deeper military cooperation remain unclear, this looks like a profoundly disappointing development. After all, Sri Lanka’s military, and we’re not just talking about the army, is in desperate need of reform. The country’s military has been plagued by allegations of international human-rights and humanitarian law violations, including war crimes and crimes against humanity that were committed during the end of country’s civil war. No one has been held accountable to date. Due to human-rights concerns, the United States has maintained a limited military relationship with Sri Lanka for many years. Direct American military assistance ended in 2007, but the Chinese stepped in with alacrity. DORALEH, Djibouti—It was February this year when camel drivers first spotted the Chinese troops staking out a patch of coastal scrubland about 8 miles from the largest U.S. military base in Africa. Chinese navy ships had visited this tiny East African nation before. They sometimes picked up supplies in the old French port, farther down the arid coast, during antipiracy patrols off Somalia. This time, the Chinese military was here to stay. The camel herders watched as the troops secured a plot next to a construction site where a vast new bulk and container port is taking shape. The 90-acre plot is where Beijing is building its first overseas military outpost—a historic step that marks a bold new phase in its evolution as a world power. Due for completion next year, the naval outpost is expected to feature weapons stores, ship and helicopter maintenance facilities and possibly a small contingent of Chinese marines or special forces, according to foreign officers and experts monitoring its development. Its cluster of low-rise concrete buildings and shipping containers, some with Chinese flags, offers the most tangible sign yet of China’s strategy to extend its military reach across the Indian Ocean and beyond. According to media reports, seven accomplices of Tunisian-borne French resident Mohamed Lahouaiej Bouhlel—the man who drove a 20-ton truck into Bastille Day crowds in Nice—have been charged with aiding in “murder by a group with terror links” and violating weapons laws “in relation to terror groups.” The existence of such accomplices would seem to contradict initial news reports denying any link with terrorist organizations—a lack of connection that French authorities initially maintained, as well. This disconnect between public narrative and fact pattern is prevalent in recent incidents, both in France and beyond. In a preceding incident, on June 13 in Magnanville, Larossi Abballa, a French citizen of Moroccan descent previously convicted in 2013 of criminal association to plan terrorist acts, used a knife to kill a police officer and his wife in front of their three-year-old child. While initial reports underscored the perpetrator’s solitary lone wolf status, less than a week later French prosecutors charged two other men—Charaf-Din Aberouz and Saad Rajraji, both convicted in 2013 of “being part of a French jihadist group”—for providing support to Abballa. Accomplices—often discovered weeks after the media loses interest in a case—are not the only or best indicator of the durable links, ideological and material, that have animated a terrorist act. It is impossible to treat the 14,000+ terrorist attacks worldwide in the past year individually, but focusing on France, two January 2016 incidents involved similar suspects, tactics, and motives. First, a 29-year-old French national of Tunisian descent drove his car into soldiers protecting a mosque in Valence on January 1, and a Tunisian native, Tarek Belgacem, used a fake explosive vest and meat cleaver to attack police in the Goutte d’Or district on January 7, the one-year anniversary of the 2015 Charlie Hebdo killings. In both cases, news reports found the attackers “acting alone” with “no particular link to any movement.” Aside from the fake suicide vest, a symbolic weapon of contemporary irregular wars, Belgacem held more than 20 aliases from seven different countries, had migrated to the EU through Romania in 2011 by falsely posing as an asylum-seeker from Iraq or Syria, and lived at an asylum center in Recklinghausen, Germany. Both men, as per ISIS-dictated cliché, shouted a version of Allahu Akbar at imminent victims, amassed jihadi content on their electronic devices, and rationalized their acts by vague reference to global grievancesagainst “Muslims” (excepting, of course, those they attacked). The Obama administration opened up significantly this summer about its efforts to kill suspected terrorists outside what it calls “areas of active hostilities,” like Afghanistan, Iraq, and Syria. It released information on the number of civilians accidentally killed in drone strikes and unveiled its framework for making targeting decisions. Coming in the waning days of the administration, these measures presumably represent the president’s last major maneuver in his efforts to defend a program that will help define his legacy—and that his successor will inherit. The administration’s defense of the program has largely focused on its legality.Top government lawyers have repeatedly made the case that in countries like Pakistan, Yemen, and Somalia, the program not only meets but exceeds the legal constraints on targeting those the Obama administration deems threats. But is Obama’s drone war moral? ‘We Have No Idea What War Is’There are two parts to this question: First, can targeted killings outside of conflict zones ever be justified? Second, is the structure that Obama has put in place over the years actually upholding those standards? The answer to the first question, according to philosophers of war, is yes, and the standards for “moral” killing allow for more civilian casualties than one might expect. The answer to the second question is harder. The intense secrecy surrounding the program not only makes it difficult for outsiders to assess the morality of targeted killings, it means the government is failing to uphold its basic moral duties to the public and the people it is targeting. When Obama has made the moral case for the drone war, he has claimed to uphold the highest standards in defending the nation’s security. “That means taking strikes only when we face a continuing, imminent threat, and only where there is … near certainty of no civilian casualties,” he told an audience at West Point in 2014. Last month, the administration gave its first self-evaluation of how well it had succeeded, claiming to have killed at most 116 civilians in drone strikes outside of war zones, compared with up to 2,581 “combatants.” (Independent estimates put the number of civilian casualties far higher.) But what do these numbers really signify? And can they help Americans grade the morality of the drone campaign as a whole? Officials at the huge spy agency say, despite concerns, a coming reorganization will not impact their work to defend U.S. computer networks from hackers and cyberspies. The NSA’s fabled Information Assurance Directorate may be going away in a major reorganization of the agency at the end of August, but “the mission will continue,” the directorate's chief said this week. IAD Director Curtis Dukes told a handful of reporters at a briefing in Washington that his staff would continue protecting the computer networks of the U.S. military and intelligence agencies, as well as working with the FBI, Homeland Security and private sector partners to keep hackers and cyberspies at bay for the civilian government and key industries. Operations, which will merge the two largest existing directorates — signals intelligence and information assurance. Advanced analytics opens vast untapped potential for farmers, investors, and emerging economies to reduce the cost of goods sold. The way digital technologies are reshaping the relationship between consumers and brands has been hotly debated over the past few years, with much discussion of the reshaping of consumer decision journeys, the advent of multichannel marketing and sales, and the impact of smartphones and the mobile Internet on customer behavior. Yet an even bigger opportunity has been largely overlooked. By taking advantage of big data and advanced analytics at every link in the value chain from field to fork, food companies can harness digital’s enormous potential for sustainable value creation. Digital can help them use resources in a more environmentally responsible manner, improve their sourcing decisions, and implement circular-economy solutions in the food chain. So far, most of the excitement about digital’s potential in the consumer-packaged-goods industry has centered on marketing and sales. But for food producers, the opportunities begin higher upstream and end lower downstream. At the upstream end, the agricultural practices followed by dairy farmers, cacao and coffee producers, wheat and barley producers, cattle farmers, and so on result in enormous variations in commodity costs in an industry where raw materials represent easily 60 percent of the cost of goods sold (COGS) (Exhibit 1). The recent focus on the four VUCA features highlight the complex nature of modern military operational environments. This perspective calls on particular strategic approaches to deal with VUCA characteristics: Volatility refers to rapid, drastic changes in the environment­—strategic plans that assume static environments become ineffective; Uncertainty refers to the unexpected and unclear environments faced by soldiers—military units cannot create useful situational awareness because past experiences do not necessarily help predict the future situation; Complexity refers to systems that are interactive, interdependent, and often multi-layered. Not accounting for the interdependencies and multiple dimensions of these systems will produce inaccurate assessments, which can be disastrous, setting off a cascade of unanticipated events. Ambiguity refers to the difficulty in determining, delineating, defining, and classifying the true problem—uncertainty must be quantified and accounted for in analysis. Supporting nation-building and humanitarian activities necessitates a deeper understanding of how these societal systems function. Methods used to analyze VUCA environments are growing beyond traditional descriptive statistics, which inherently assume independence among components. During the past decade some of the most important advances towards understanding VUCA have been provided in context of network theory. Network science models capture a dynamic understanding of the interdependence among components, and the evolution of these relationships over time. Developing network models and theoretical approaches is critical to understanding, navigating and leveraging unfamiliar and complex social and physical terrains, particularly in large urban and peri-urban areas. Russia’s newly elected President, Boris Yeltsin, speaks from atop one of the tanks that surrounded the building of the Russian Council of Ministers, or “White House,” during the attempted coup of August, 1991. In August, 1991, a small group of hard-liners in the Soviet government staged a coup aimed at halting the popular anti-Communist, pro-freedom tide stirred by Mikhail Gorbachev’s perestroika. On their orders, tanks surrounded the “White House,” the seat of the government of Russia (then a constituent part of the Soviet Union), which was led by Boris Yeltsin, the newly elected President. Tens of thousands of Muscovites rushed to the White House, to rally around Yeltsin and defend Russian freedom against the Communist putsch. Three days later, the putschists suffered a spectacular defeat. At night we heard faraway shooting, and we thought, here it is—they are beginning to storm. The square in front of the White House was packed with people. It was clear that if tanks and submachine gunners advanced, there’d be no place to hide or run away. I was scared, shaking, but . . . I think for the first time in my life I felt to be free and a citizen of my country making its history together with other citizens. And no price seemed too high to pay for this feeling. German Foreign Minister Frank-Walter Steinmeier is meeting with his Russian counterpart, Sergey Lavrov, today in Yekaterinburg, Russia to discuss the latest escalation in Ukraineand the impasse over Syria. Last week, German State Secretary Markus Ederer rushed to Turkey to, in the words of the German Foreign Ministry, “re-establish direct channels of communication” with the Turkish authorities. Germany has criticized Turkey’s actions following the failed coup, which caused a strain in relations with Ankara. This raised further questions over whether the European Union’s refugee deal with Turkey will be fulfilled. These meetings are a small indication of a larger problem for Berlin: it is facing a growing number of crises, at home and abroad, that it has limited power to address. For Germany, stability in Ukraine and the European Union’s agreement with Ankara on refugees are key priorities. Surrounded by instability, Germany is attempting to play a leadership role in resolving regional crises, but finding that in reality Washington – and not Berlin – holds the cards. Germany’s ability to shape Russia’s actions in Ukraine and Turkey’s trajectory is limited. For Germany, stability in Ukraine is key. Last week, Russia accused the government in Kiev of conducting a raid in Russia-controlled Crimea and threatened to call off planned talks with Ukraine, Germany and France. Since the annexation of Crimea and outbreak of hostilities in eastern Ukraine in 2014, Germany has attempted to position itself formally as a mediator in the conflict, leading rounds of negotiations between Russia and Ukraine. Hacking tools claimed to be pilfered from the US National Security Agency reveal a ­severe security threat to China, mainland experts say, with a leading national provider of network security said to be among the victims of the government hackers. Some of the data was released online over the weekend by the Shadow Brokers, an anonymous group of hackers which said it took them from the “Equation Group”, an elite espionage team widely believed to be operated by the NSA. An increasing number of security experts have since said the data appeared to be legitimate. American cybersecurity firm Risk Based Security studied the release and found one victim was Beijing Topsec Network Security Technology, which provides firewall ­services to government arms, including the tax bureau, as well as the military. An analysis of the data by mainland ­cybersecurity company Rising showed China was at a severe risk. A potentially damaging hacking tool revealed in the apparent National Security Agency breach includes a zero-day vulnerability – or previously unknown security hole – in Cisco software. The government should have already disclosed that flaw. Earlier this week, a group calling itself the Shadow Brokers released a cache of military-grade computer hacking tools. Since then, experts and former agency employees have substantiated that the tranche of custom-made malwar originated from the National Security Agency. Now, the dump is raising serious questions about the nature of the US government's cyberweapons arsenal. Chief among those questions is whether or not the US government should withhold information about potentially damaging flaws in software programs widely used by American companies. One of the most potentially damaging exploits that the Shadow Brokers revealed is a so-called "zero-day" vulnerability in a Cisco security product common in many American critical infrastructure facilities. Zero-days are security flaws that the affected company doesn't know about. Is that the kind of flaw that the NSA should keep secret from American businesses? Should it have told Cisco? THOMAS RID studies war at King’s College London. Recently he has been pondering “cyberwar”, since “cyber” garners much military-industrial gold and glamour these days. This has led him to wonder what people could possibly mean by a strange term like “cyber”. This thoughtful, enlightening book is his answer: a melange of history, media studies, political science, military engineering, and, yes, etymology. It takes Rid a full 25 pages of cautious scholarly preface to get to his original research, but after that, every chapter opens up as smoothly as an automated glass door. 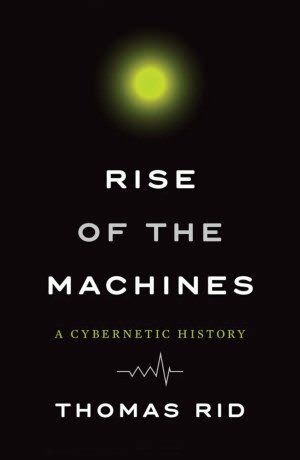 In Rise of the Machines, Rid has created a meticulous yet startling alternate history of computation. Within Rid’s framing, Alan Turing’s famous Colossus codebreaker merely lurks in a dim barn somewhere. The true primal beast of modern computing is the interactive gunsight system, an artillery gizmo that spewed tracer fire across the dark skies of the second world war. Our central protagonist is not Alan Turing but Norbert Wiener, an academic at the Massachusetts Institute of Technology at the time, who was researching anti-aircraft weapons. Wiener sought to mathematically automate a new prediction and aiming system so that Allied ack-ack gunners could outguess dive-bombing Axis pilots. He had no engineering success whatsoever; meanwhile all the truly capable MIT guys were away, building atom bombs in the desert. Then peace broke out, and Wiener revealed his new, general theory of humanly interactive yet self-steering machines. He called it “Cybernetics”. Trendspotters quickly picked up and spread the idea, and it’s here that Rid comes into his own as an able historian, excelling at who knew whom exactly when. In the main, the early cybernetics community was made up of peacenik, left-wing intellectuals who were dumbfounded by the A-bomb. Bertrand Russell considered Wiener a moral titan. Wiener also got a swift, favourable hearing from the soft-science brigade, who quickly realised that “cybernetic feedback” was Darwin-scale high concept, an intellectual gift that would keep on giving. As a working technology, cybernetics reached its apogee before any digital computers appeared. Rid has a historian’s tenderness for odd cybernetic mechanical systems, and these, far from being the parents of true computers, are better considered the children of weapons systems. Gadgets like the obscure Ashby homeostat (“the closest thing to a synthetic brain so far designed by man”, Time magazine proclaimed) have a mid-century Alexander Calder beauty about them: they move mysteriously, metal mobiles steering through a breeze. Battles in the next world war will be fought in the air, on the ground, and online. "We've grown used to the fight being in just one domain," Dr. Peter Singer, a strategist at the think tank New America and coauthor of "Ghost Fleet," told Business Insider. "[But] we have these new domains that we've never fought in before, and that's outer space, and cyber space." While the US has gotten somewhat used to fighting insurgencies and irregular wars, Singer believes the world may be swinging back toward the conventional path, especially as China continues to ramp up its military capabilities. 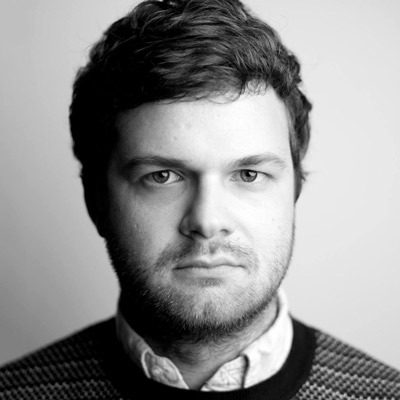 Singer and August Cole's "Ghost Fleet" put forth a story of what could potentially happen if the US, China, and Russia went to war, and hacking and electronic warfare played a big part in it. Though the book was fictional, all the technology the authors used was drawn from the real world, whether it was currently deployed or in a prototype stage - and it has become recommended reading by the military's top leaders. "If you're not able to operate the way you want to in cyberspace," Singer said. "That means you can lose battles on land and sea." Interestingly, the shift to using cyber means of attack instead of conventional ones has already been happening for some time, as Singer explained. We've seen a "micro version" of this new age of warfare playing out recently in Ukraine, Syria, and elsewhere. Or as one Army officer put it during a 2015 training exercise, "future fights aren't going to be guns and bullets. They're going to be ones and zeroes." 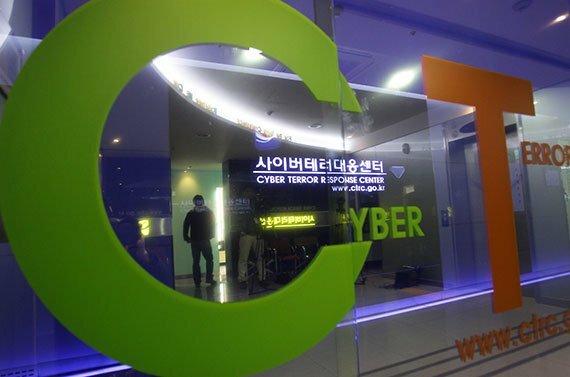 A man walks past the Cyber Terror Response Center in Seoul, South Korea, March 21, 2013. A cyber attack on computer networks in South Korea the day before was traced to China. Carl Robichaud: Let’s talk a bit about how cyber fits in. The preoccupation right now is with how cyber can be used as part of a “gray” campaign to create aggression that cannot be easily deterred. But there’s a different use for cyber attacks: as part of a comprehensive military strategy that can be used to blind and confuse adversaries, attack their command and control, etc. 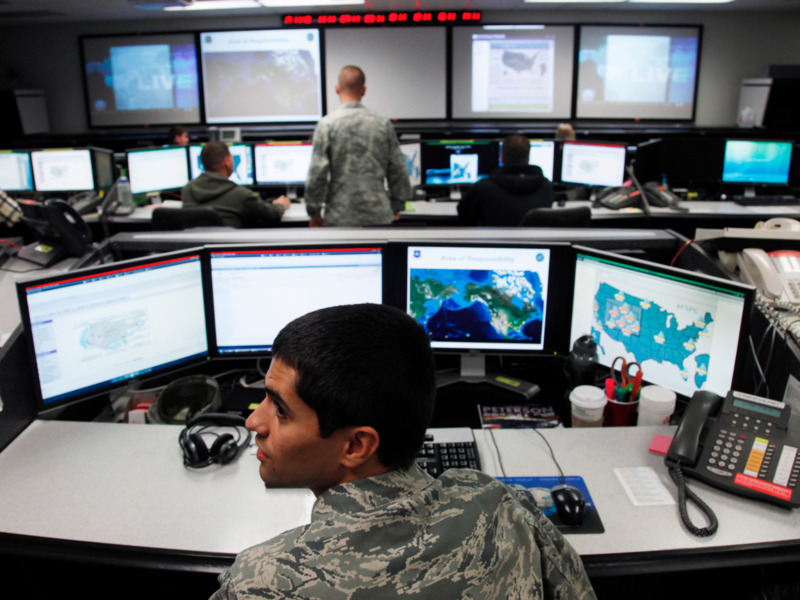 Cyber as part of kinetic warfighting, instead of as an alternative to it. Can you speak to this? What are the implications? What are the countermeasures countries will take? It is difficult to distinguish cyber intelligence collection from cyber preparation for attack, as well as to distinguish cyber attack from equipment failure. Can the A-10 Warthog Defeat Its Toughest Enemy?